All digital resources we create that are included in the digital membership. Marriage books written by us as soon as they are released. Parenting (and grandparenting) books written by us as soon as they are released. To become a Resource member, click on the link below. 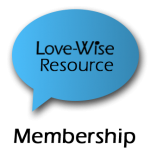 Our hope is that the resources we author will make you more love-wise.